Oh my. I hope you are safe and warm in your home or job today! The ice and snow are wreaking havoc all over the place!! Now is a great time to stay in your PJs, wrap up with a throw and sip on something warm and heavenly! 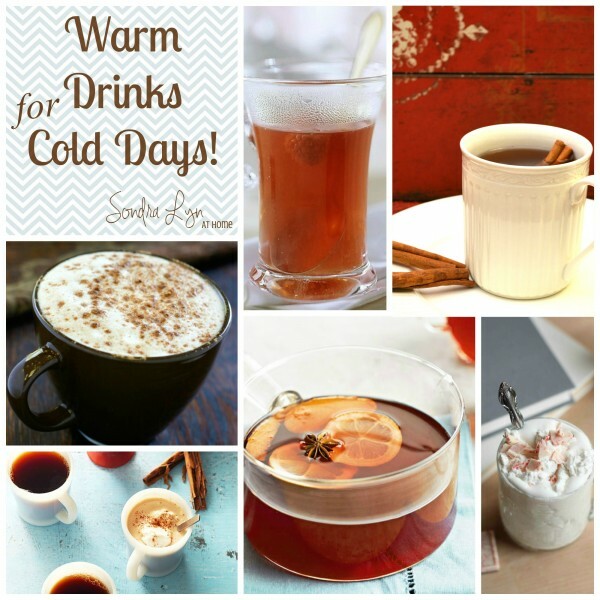 Welcome to Part 2 of Warm Drinks for Cold Days. 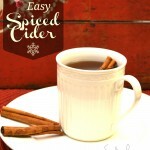 In case you missed Part 1, you can click here to get the recipes for some fabulous hot ciders and teas. And, of course, who can do a post on hot drinks without including coffee, lattes and hot chocolate? Not me! 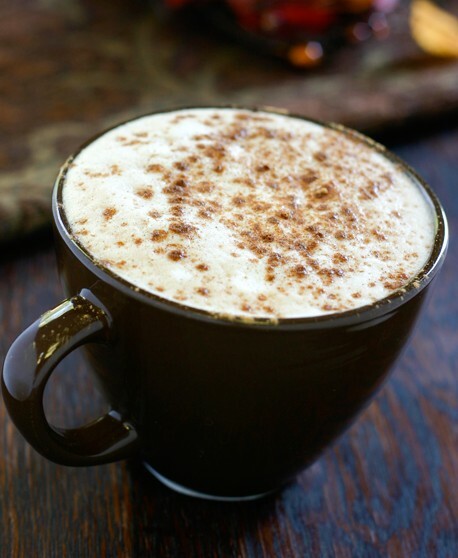 This Pumpkin Spice Latte is a knock-off of the Starbucks version (from babble.com)! Who can resist- any time of year? Brew your espresso or strong coffee. If brewing strong coffee, use double the amount of grounds you would in your regular coffee. Combine half and half or milk, pumpkin, sugar, and pumpkin pie spices in a small saucepan. Heat until very hot, but do not boil. Remove from heat and add vanilla. 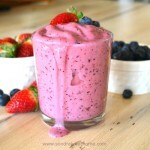 Transfer to a blender or a milk frother and blend until frothy. Pour 1 cup warm pumpkin milk mixture into coffee mug and add 1-4 coffee shots. Dust with more pumpkin pie spice if desired. 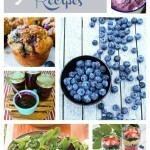 Makes about 1 – 2 servings. In the pot of an electric drip coffeemaker combine hot brewed coffee, sugar, and stick cinnamon. Let stand for 10 minutes on the warming element. 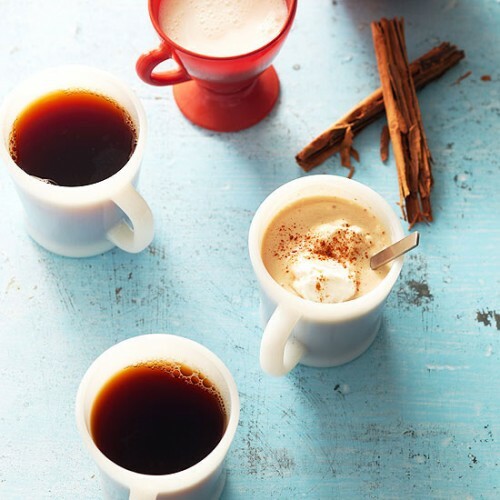 Divide coffee mixture among six mugs. Stir about 1 tablespoon of the half-and-half into each mug of coffee. 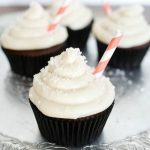 If desired, top with whipped cream and ground cinnamon. 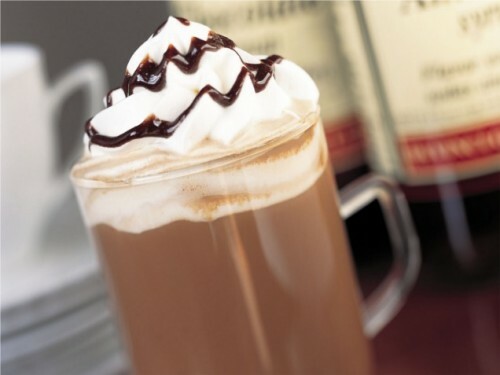 And what would a round-up of hot drinks be without Hot Chocolate?! Heat the milk in a saucepan over medium heat until bubbles just begin to form around the edges, but don’t let the milk reach a rapid, rolling boil. Stir in the chocolate until it melts. 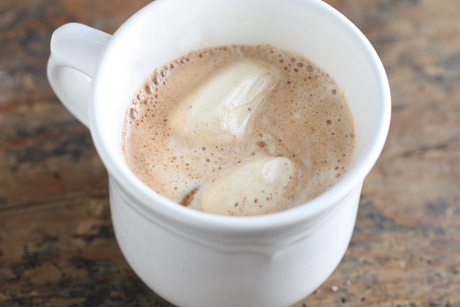 Remove the hot chocolate from the stove, and immediately pour it into mugs. Serve with marshmallows for an extra special treat. In a large heavy-bottomed saucepan, combine the chocolate and cream over low heat. Stir occasionally until the chocolate is completely melted. Whisk in the milk, cinnamon and cayenne. Raise the heat to medium and continue cooking until very hot, but don’t let the mixture come to a boil. Remove from the heat. In a small bowl, combine the sugar and the cocoa. Add about 1 cup of the hot milk mixture and whisk until a smooth paste is formed. Whisk the cocoa paste back into the pot with the hot milk mixture and whisk until smooth. 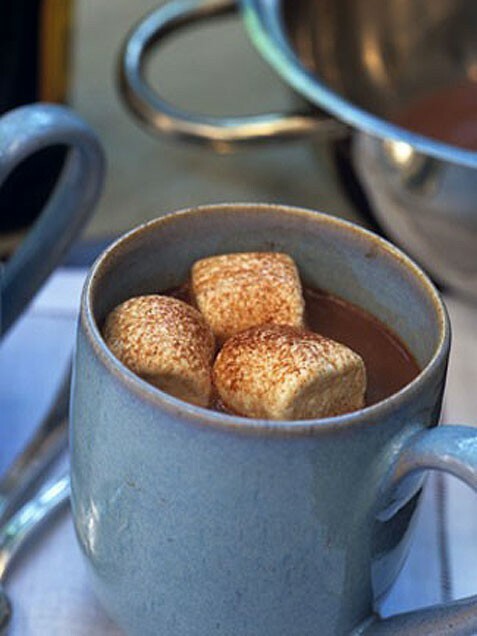 Pour into mugs and serve hot with whipped cream or marshmallows if desired. Slowly add the espresso and almond syrup to the frothed chocolate milk.Top with a dollop of whipped cream, and drizzle with chocolate syrup. I hope you’ve enjoyed this round-up of hot drinks. Maybe these will get us both through winter! Have a truly fabulous day!